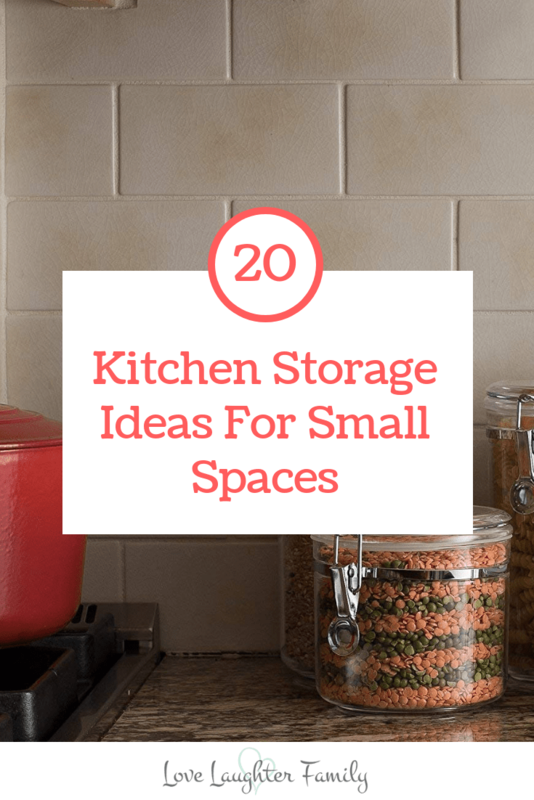 If you have a small kitchen like us or simply need some simple but pretty kitchen storage ideas then you'll love theses kitchen storage ideas for small spaces. We moved into our first house just over 2 years it's a cute little cottage but the kitchen is pretty small. Once the kitchen unites and appliances were fitted we didn't have much storage space left so needed to be clever about what we did and how we stored things. So we needed some kitchen storage ideas! But not just any, we still wanted a beautiful kitchen we could be proud to show off to our friends and family. We hate clutter. When we were looking for ideas we found lots of inspiration on Pinterest, some good and some not so useful. 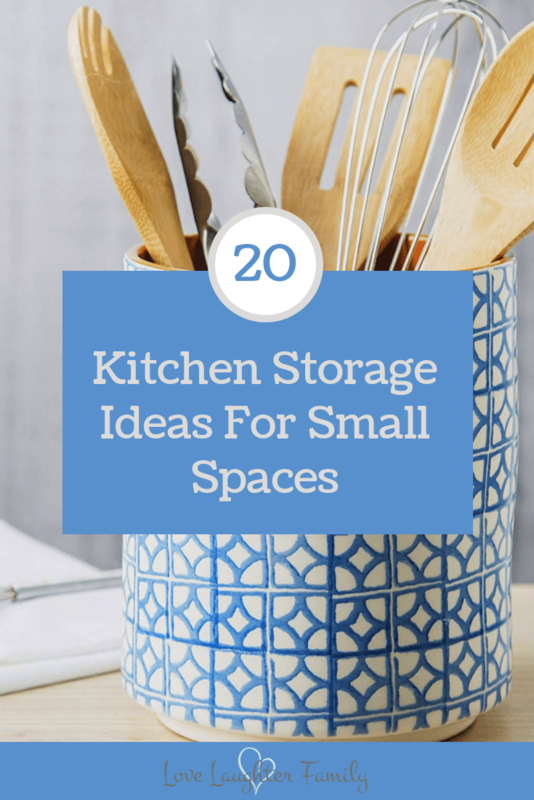 If you have a small kitchen or simply need some simple but pretty kitchen storage ideas. I've managed to find as many as I could from Amazon so you can have what you need fast to organise your kitchen. When it comes to small kitchens you have to get creative and be clever about how you use the space available. Have a look around your kitchen, is there space on the walls for some shelves? Could you make better use of space in your cupboards by having food in jars or containers? Is there space under your wall units for extra storage potential? Here are our best finds for clever but beautiful storage ideas for small kitchens. If you want to find out more about any of these items just click on the image and it'll take your straight over to Amazon. Shelving is a great go to to create more storage in any kitchen bug or small. Style your kitchen with something like this. Food packaging takes up a lot of space in cupboards and can be unsightly so why not empty some foods ionto nice containers. place more frequently used containers on the kitchens worktops to create more space in cupboards. Here are a couple we liked. These are pretty genius, my nan has a couple of these in her little kitchen. use the space on shelves for storing handy items like cups or spices and then use the hooks underneath for hanging things like tea towels or utensils. Here's a couple on amazon we liked. When space is limited you may not want a bulky knife block so a magnetic knife holder attached to the wall could be just what you need. Here's some nice ones we found. These are actually really handy for storing all sorts such as chopping boards, utensils or just anything that will fit! Here's a couple of trendy ones. Clear some space in your draws and put your cooking utensils in a utensil holder. We love these utensil holders. Glasses take up so much cupboard space so if you could take them out of the cupboard and store them somewhere smart then why not. these glass storage ideas allow you to display your glasses like a bar or wine shop might. Just make sure you keep your glasses sparkly clean. if you cook a lot and use spices you'll understand that it would be great to have them out on display at arms length whenever you need them and not thrown in the cupboard. These neat storage ideas are pretty clever and do well to save you much needed counter and cupboard space in your small kitchen. Counter storage baskets and shelving can look really pretty if done properly. These two ideas take up very little space and look great. We love our fruit and vegetable storage rack it's so handy. They are ideal for creating space in your small kitchen. We store fruit at the top, onions and potatoes in the middle and hide our washing products at the bottom. There you have it, 20 kitchen storage ideas for small spaces to help you transform you kitchen and create more space.